Today players all over the world can place wagers on the outcomes of lotteries on the other side of the world using their computers and smart-phones, but this is a long way away from the origin of what we now know as the lottery. Although the way we experience the lottery has changed a whole lot over the years, the basic concept dates back to the earliest human civilisations, and its history can be traced back across the globe. Looking at the origin of the word itself is a useful way to trace the lineage between the different incarnations of the lottery over the centuries. It came from the Dutch word ‘lot’, meaning ‘fate’, which is a pretty interesting way of thinking about how a lottery works. We still use expressions like ‘drawing lots’ today, when we want to make a random decision about something (like who’s going to make the coffees in the office). It’s pretty safe to assume that this type of decision-making process goes back to the very earliest human tribal groups, as it was probably quite difficult to find volunteers to go after that sabre-toothed tiger. There is evidence that a type of lottery existed long before the Dutch came up with that word in the 15th century, as historians have traced a version of a lottery all the way back to the Ancient Chinese Western Han Dynasty, which was a period of time around 200 years before the birth of Christ. People at that time played what was known as the ‘white pigeon game’ – basically a form of keno – which got its name because birds were used to send the results of the draws out to far-flung villages. 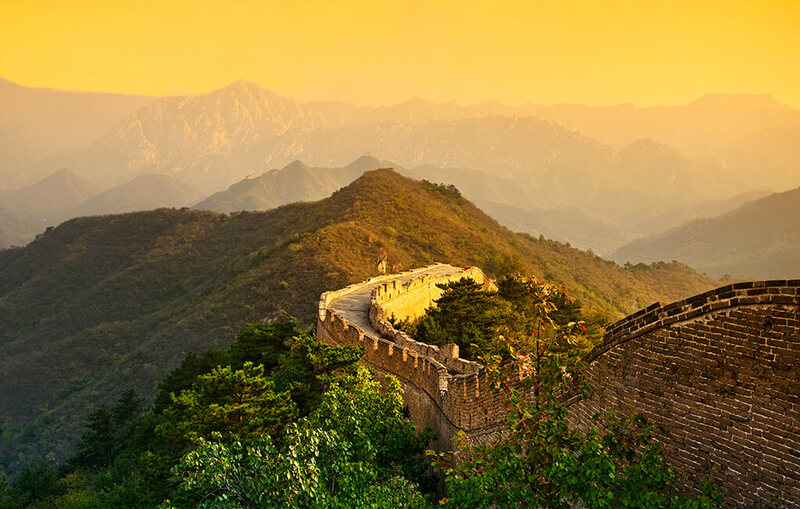 Some of the proceeds from these early incarnations of the lottery were used to fund part of the Great Wall of China, just one example of lotteries relating to famous historical people and places. The Ancient Romans adopted various forms of lottery too, albeit for different purposes. For example, the Roman elite used to have draws after dinner parties with various lavish prizes on offer for their guests, although one suspects that the best prizes ‘somehow’ found their way to the most influential members of the group! 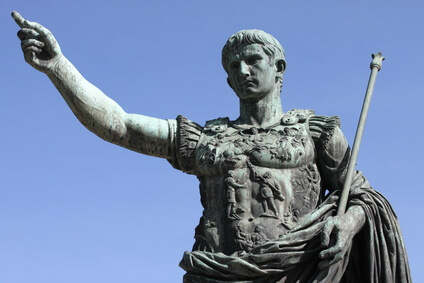 In later years, Augustus Caesar introduced a lottery where all citizens of Rome could buy tickets and where the prizes were a selection of whatever treasures the army had brought back from their latest conquest. Some of the proceeds of this type of lottery were used to fund the upkeep of the public streets and buildings of the capital. Lotteries became established in what is now Belgium and the Netherlands around the 15th century, and that is where the word ‘lot’ came in. Later on the practice of lotteries resurfaced in Italy once more when Milan used the practice to raise funds for its war against Venice. In Genoa, they used a random draw to decide which 5 of the 90 council members would be selected for offers, and people started to bet on the outcome. This raffle only happened twice a year and with people still enthusiastic about betting on lotteries, the organisers replaced the councillors’ names with numbers and in doing so created the first number-based lottery. To this day, the Italian SuperEnalotto draws 6 numbers from 90 to determine the winning selection, in a nod to its Genoese origins. The first lottery in England organised by the government was a rather unusual affair, showing perhaps that they had not quite grasped the concept as quickly as their European cousins. While today the lottery balls are often drawn by minor television celebrities, no less a figure than Queen Elizabeth picked out the winning balls of the English lottery in 1569. Unusually, the value of the total prize pool was exactly equal to the price paid for all of the lottery tickets - although the top prizes were greater in value than the others – making it close to the ‘Secret Santa’ tradition which is imposed upon reluctant office workers every year. Although the lottery was very expensive at the time it would certainly have attracted a certain sector of society, because anybody who bought a ticket was automatically exonerated of any (non-violent) crime they had ever committed! Other European nations such as Spain and France were also quick to use lotteries for various purposes, but it may surprise you to learn that the relatively new country of America was an extremely early adopter of the practice. As early as 1655 the settlement of New Amsterdam (you may be more familiar with its modern name of ‘New York’) organised a lottery where players had to guess how many bibles were sold in the town over a certain period of time. Although the United States has a somewhat strained relationship with some forms of gambling today, many of its founding fathers (George Washington, Benjamin Franklin, Thomas Jefferson) and historical institutions (Yale, Harvard, Rockerfeller Centre) were involved with or funded by organised lotteries. The oldest lottery still active today is the Dutch National Lottery, which has been going strong since the first draw back in 1726 in The Hague. In second place is Spain’s ‘El Gordo’ (‘the fat one’) which has been run every year since 1812 and which today is widely considered to be the biggest lottery in the world. This Spanish Christmas lottery is more of a yuletide tradition than Santa Claus in Spain, with an estimated 75% of the population buying a share of a ticket each year in the hope of winning a top prize which regularly amounts to hundreds of millions of euros. Within a couple of years of declaring independence from Britain, Ireland was to launch what became a somewhat controversial lottery known as the Irish Sweepstakes. The idea behind the draw was to raise money for the piteously underfunded hospitals of the country, and as the local population was too small to raise enough capital a lot of tickets were sold in the UK and America, often to emigrant Irish. Coinciding with the grim years of the Depression in the States, the widely-publicised tales of Irish Sweepstake winners became for many a beacon of hope in desperate times. However, despite the millions of dollars being raised annually by the lottery in its early days a suspiciously small amount was going towards the improvement of dilapidated hospitals, while the organisers of the lottery in Ireland (and various shady ‘middle-men’) were becoming exceedingly rich. Eventually in 1987 the (now completely above-board) Irish Sweepstakes was replaced by the National Lottery in Ireland, with the Irish Lotto still a popular draw around the world. 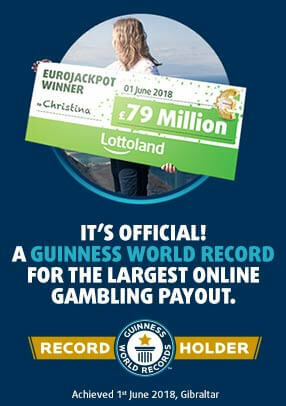 In the 21st century lotteries proliferate in countries all around the world. From the gigantic US Powerball to the Oz Lottery in Australia, from the Swedish Lotto to the hugely popular Mega-Sena draw in Brazil, lotteries continue to attract as much interest and excitement as ever. It seems that humans will never lose that impulse to bet upon the outcome of random lottery draws and to let ‘fate’ determine the outcome.